Experience a new level of excitement when you’re behind the wheel of the 2018 Jeep Cherokee. 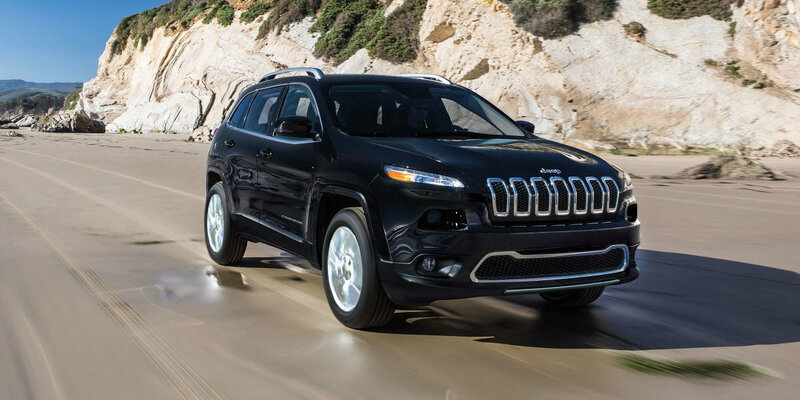 Available in multiple trims and a variety of colors, you’re sure to find a Cherokee that fits your needs. 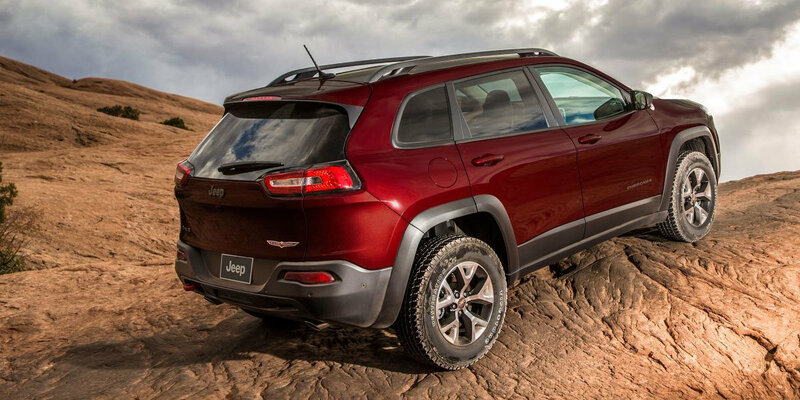 Paying homage to the authentic Jeep design, the 2018 Cherokee stays true to its original look while making a statement with a more sculpted, aerodynamic, and bold exterior. Our customers will love the performance and reliability this vehicle has to offer. 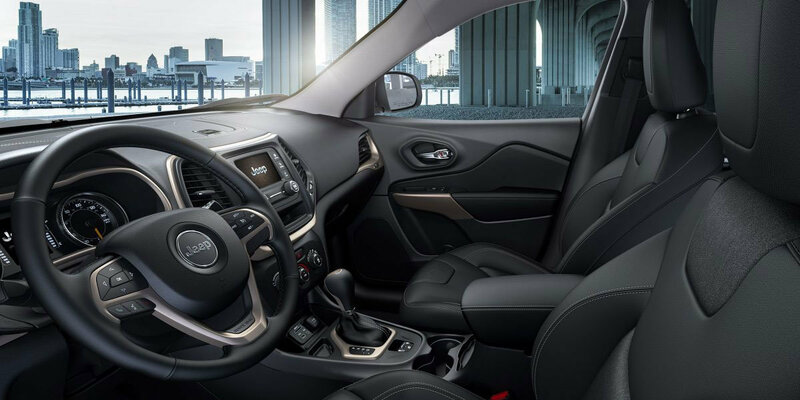 The Jeep Cherokee also has an impressive infotainment system, Uconnect®. This system has an 8.4-inch color touchscreen and great features like Hands-Free Calling, satellite radio, Siri® Eyes Free, and more! 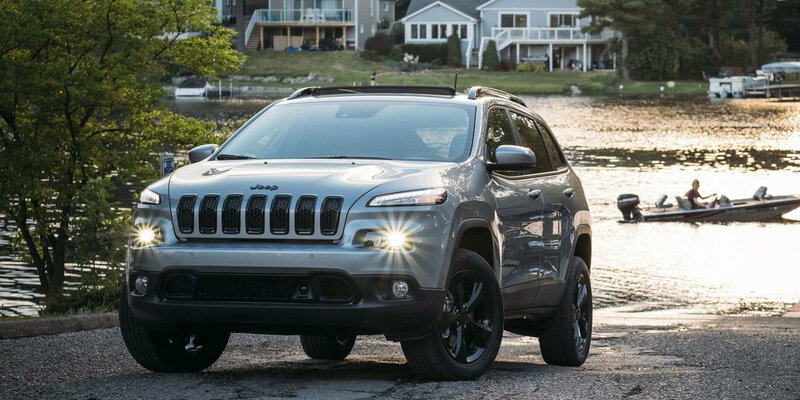 To test drive the 2018 Jeep Cherokee, visit Ashland Ford Chrysler in Ashland, WI, today! We can’t wait to help you find your next vehicle. 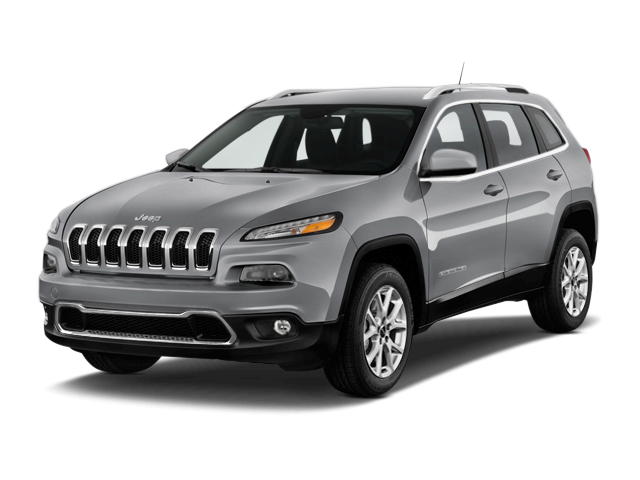 For more information about the Jeep Cherokee or any other car, please call 715-682-8400. Instrument cluster screen size: 3.5 in. Instrument cluster screen size: 3.5 in. Instrument cluster screen size: 3.5 in. Instrument cluster screen size: 7 in. Instrument cluster screen size: 7 in. Instrument cluster screen size: 7 in. Instrument cluster screen size: 7 in. Infotainment screen size: 5 in. Infotainment screen size: 5 in. Infotainment screen size: 8.4 in. Infotainment screen size: 8.4 in. Infotainment screen size: 8.4 in. Infotainment screen size: 8.4 in. Infotainment screen size: 8.4 in. Includes all weather floor mats, all weather cargo floor mats, bright door sills, cargo area liner and rear cargo bin stow n' go storage. Includes front suspension skid plate, fuel tank skid plate shield, full size spare tire, transmission skid plate, and underbody skid plate. Includes accessory bank switch module, air conditioning, all-season floor mats, engine block heater, power exterior mirrors with heating element, heated front seats, heated steering wheel, jeep rack off road accessory kit, leather wrapped steering wheel, remote start system, steering wheel mounted audio controls and windshield wiper de-icer. Includes 18 x 7.0 in. Gloss black 5-spoke aluminum wheels, 225/55r18 all season tires, continental brand tires, day light opening moldings, gloss black fascia applique, gloss black grille surrounds, gloss black roof rails, jeep black gloss badging, leather wrapped steering wheel, and steering wheel mounted audio controls. Includes 18 x 7.0 gloss black 5-spoke aluminum wheels, day light opening moldings, gloss black fascia applique, gloss black grille surrounds, gloss black roof rails, and black gloss badging. Includes blind spot with cross path detection, power folding mirrors, exterior heated mirrors with supplemental signals, courtesy lamps, and parksense rear parking assist. Includes power liftgate, rearview auto dimming mirror, remote start system, security alarm, and universal garage door opener. Includes exterior mirrors with memory, premium leather trimmed bucket seats, ventilated front seats, tonneau cover, and memory for radio, driver's seat, and exterior mirrors. Includes adaptive cruise control with stop and go, advanced brake assist, auto high beam headlamp control, exterior mirrors with supplemental signals and courtesy lamps, full speed collision warning, lane departure warning, parallel park assist, and rain sensitive windshield wipers.